Pamper your skin whilst you sleep with the DHC Extra Nighttime Moisture, a concentrated night cream that will renew and refresh your complexion overnight. 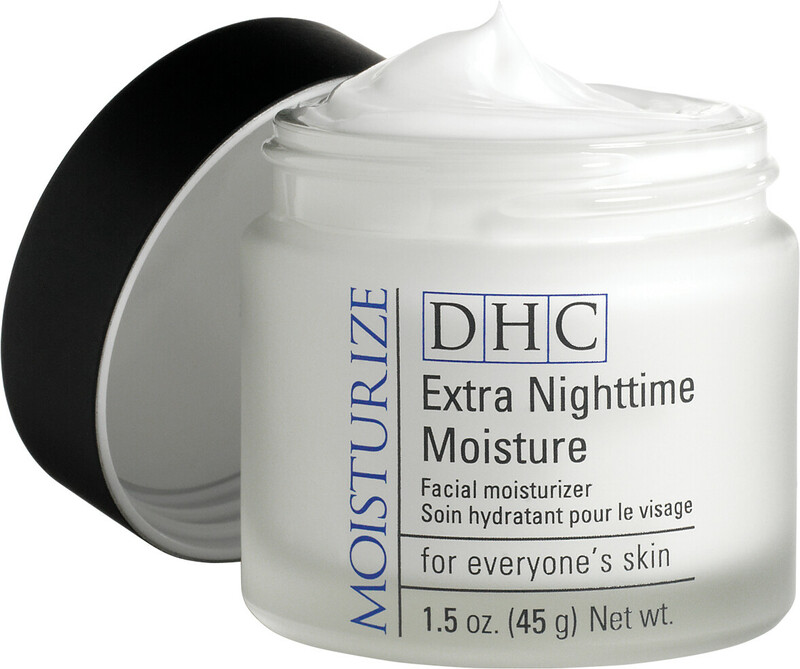 DHC Extra Night Time Moisture is a deeply moisturising and revitalising cream, blended with fortifying Olive Oil, Squalane and a deluge of emollients that will hydrate and redefine skin's texture, working in sync with skin's natural overnight revitalisation cycle to reveal dewy, radiant and supple skin. Collagen production is promoted to ensure elasticity and ensure younger-looking skin. Suitable for all skin-types. After cleansing and toning, apply smoothly and evenly over face and allow to work overnight. DHC Extra Nighttime Moisture 45g is rated 5.0 out of 5 by 3. Rated 5 out of 5 by Anthi12 from Velvet skin! Great night cream suitable for a bit dry skin and if you are in your early 40s. Leaves skin smooth and moisturised. I will definitely buy it again! Rated 5 out of 5 by maisy from Terrific Moisuriser Started using this moisturiser after receiving a sample and I haven't used another night-time moisturiser since. A little goes a long way and I wake up every morning with baby soft skin. I love it.